Centripetal democracy is the idea that legitimate democratic institutions set in motion forms of citizen practice and representative behaviour that serve as powerful drivers of political identity formation. Partisan modes of political representation in the context of multifaceted electoral and direct democratic voting opportunities are emphasized on this model. There is, however, a strain of thought predominant in political theory that doubts the democratic capacities of political systems constituted by multiple public spheres. This view is referred to as the lingua franca thesis on sustainable democratic systems (LFT). Inadequate democratic institutions and acute demands to divide the political system (through devolution or secession) are predicted by this thesis. 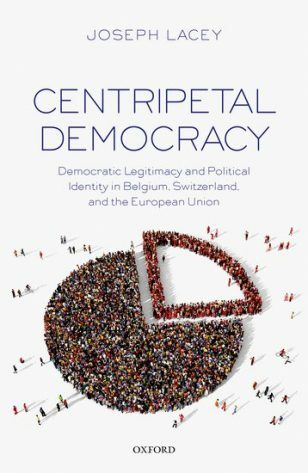 By combining an original normative democratic theory with a comparative analysis of how Belgium and Switzerland have variously managed to sustain themselves as multilingual democracies, this book identifies the main institutional features of a democratically legitimate European Union and the conditions required to bring it about . Part One presents a novel theory of democratic legitimacy and political identity formation on which subsequent analyses are based. Part Two defines the EU as a demoi-cracy and provides a thorough democratic assessment of this political system. Part Three explains why Belgium has largely succumbed to the centrifugal logic predicted by the LFT, while Switzerland apparently defies this logic. Part Four presents a model of centripetal democracy for the EU, one that would greatly reduce its democratic deficit and ensure that this political system does not succumb to the centrifugal forces expected by the LFT.